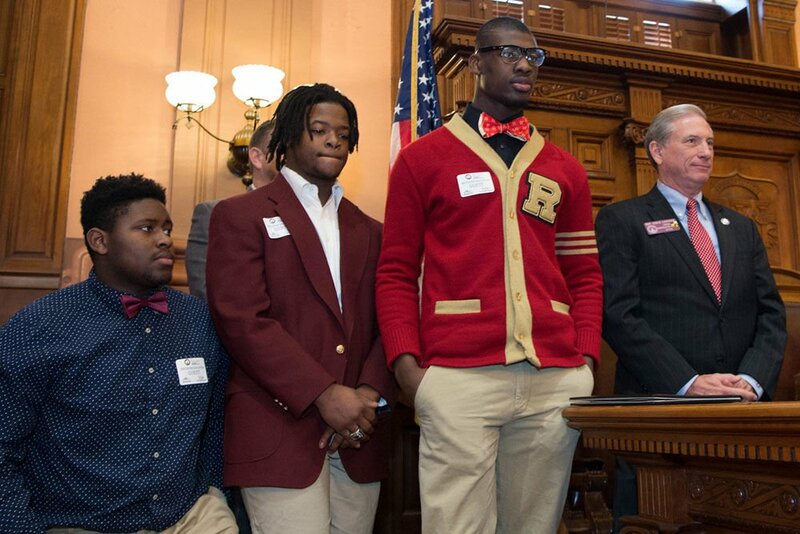 ATLANTA – State Representative Katie Dempsey (R-Rome) led the Georgia House of Representatives on Thursday, February 1, 2018, in honoring the Rome High School Wolves in the House Chamber of the Georgia State Capitol. 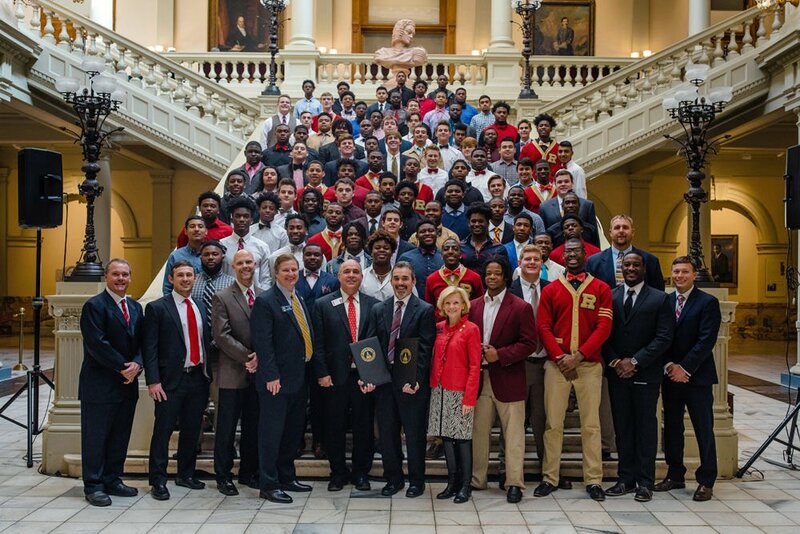 Reps. Christian Coomer (R-Cartersville), Eddie Lumsden (R-Armuchee) and Mike Glanton (D-Jonesboro), who grew up in Rome and played football for teams in the Rome City School System, joined Rep. Dempsey in presenting House Resolution 961, which recognized Rome High School’s football team for their victory in the Georgia High School Association (GHSA) 5A State Football Championship. The Rome High School Wolves defeated the previously undefeated Warner Robins High School Demons with a score of 38 – 0 in the GHSA 5A State Football Championship game. The winning team completed their 2017 season with a record of 15 – 0 and now has won 27 consecutive games. At 758 points, Rome High School’s football team is the highest scoring team this year in all classifications in Georgia’s history, and the team is ranked No. 1 in Georgia in all classifications.